The Barrister Brief: How Should I Decide Whether I Should Plead Guilty? 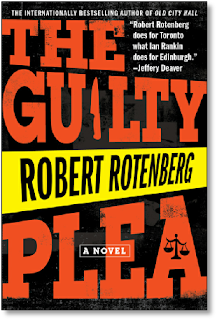 New novel by a Toronto criminal defence lawyer. Most people who are charged with an offence in Canada plead guilty. Not the vast majority like in the United States where it's commonly suggested that 90% of those charged plead guilty - perhaps because of the massive penalties they risk in going to trial rather than agreeing to a reasonable negotiated sentence on a plea. In Canada, the rule of thumb is that you should get about a 1/3 sentence discount on an early guilty plea - though sometimes you can do a lot better than that, like completely avoiding a criminal record through receiving an absolute or conditional discharge,as compared to receiving a fine (and a record) after trial. And sometimes you don't do better at all. When I was serving as a Federal Crown Prosecutor, how good of a deal I wound up offering an accused on a plea would depend on lots of factors, like how strong I believed my evidence was, whether there were technical problems with the case like a potentially illegal search or inadmissible statement, and what I thought of the future prospects of the accused for staying out of trouble. Sometimes, how effective a negotiator the defence lawyer was could play a significant role. Now that I'm an Ontario criminal defence lawyer myself, I view Crown-defence negotiations as a very important part of developing a solid defence. I only undertake them after a careful review of all the evidence and other materials in a case, so that I understand a case's strengths and weakness from both the Crown and defence perspective. Since relationship building is the key to any successful negotiation, ideally I will have an already established rapport with the prosecutor, or will be able to build such a rapport as I demonstrate my complete understanding of the facts and law in a case. These negotiations can have a significant pay off even after trial, as they can limit the maximum penalty a prosecutor will seek at trial (as well as providing a better deal on an early plea), narrow the contested issues at trial, and occasionally convince the prosecutor to completely drop all charges because of all the factual and legal problems with a case. How should you decide whether to plead out? 1. Did you really commit the offence you are charged with? Note this question isn't asking if you did anything of a questionable nature, but rather did you do what they claim you did - including whether you intended to do it if that's an essential element of the office. If you're innocent, you shouldn't be pleading guilty. And you shouldn't be thinking that just because you've been charged with an offence, "the system" will inevitably find you to be guilty of it. When I was serving as a Federal Crown Prosecutor, I would from time to time be given files where the accused really was innocent; I did the only thing ethically possible - I dropped the charges. But prosecutors need to be very sure of your innocence before they will do that - thus the importance of negotiations through your defence counsel. 2. What kind of penalty can you expect after trial, compared to what can be negotiated for an early plea? Sometimes you can get a great deal for an early plea, other times the deal offered may be no better than you would receive after trial so that there really isn't a lot of risk in taking the case to trial. I highly suggest retaining a criminal lawyer to negotiate on your behalf; the cost may be fairly reasonable, those lawyers know how much offences are really worth in terms of penalty where you've been charged (the practical tariffs vary a lot across Canada even for identical offences), and they've built relationships with the prosecutors through which they can best plead your case. Certainly it's possible to see what you can get by yourself without a lawyer, but it will be almost impossible to tell whether it's a good deal or not. Do be aware that the judge always has the last say, so just because the Crown and defence agreed on a deal doesn't mean the judge has to accept it. But it's also true that if the Crown and defence don't agree and go in on an open submission where each pitch to the court what they respectively believe the penalty should be, the judge might pick the defence position if it's the most reasonable. 3. What kind of consequences are you trying to avoid? If you're trying to avoid any type of criminal record because you don't already have one, and all the prosecutor will offer is resolution outcomes that lead to you getting stuck with a record, then taking the case to trial may maximize your chances of avoiding a record - although you could still pitch the judge on that result on a plea, even if the prosecutor disagrees with you. If you're trying to avoid a lengthy jail sentence, again the position of the prosecutor on a plea will drive your decision; if the prosecutor demands lots of jail even on a plea - and in fact that seems a likely outcome upon conviction - you might be best off going to trial and trying for an acquittal. 4. Can you financially afford to go to trial? If you are planning to hire a lawyer anyway to review your case and conduct negotiations with the prosecution, you'll find that taking a case to trial will not massively increase your costs assuming your matter is not extremely complex. Most trials can be finished in about a day or less of court time. Most lawyers will require at least a day of their time - spread over a few weeks or months - to review your case, consult with you, and conduct negotiations with the prosecution. So yes, going to trial might double your legal fees, but it will only be if you are charged with a very serious offence with a complex set of facts that going to trial could be a few times more expensive than negotiating a plea. 5. Are you trying to avoid publicity by not going to trial? While it's true that sensational facts will generate some trial publicity in the media, those same facts are going to generate the same publicity on a guilty plea. The publicity might be more limited in time if you plead guilty quickly and the sentencing happens right away, but the mere lack of a trial won't wipe out the potential for public attention. Because there are now so many stories competing for the media's attention, unless you're already a famous public figure or are alleged to have committed a truly heinous or bizarre act your criminal charges are unlikely to attract media notice. If you are in a larger city, there will probably be nothing in the press. If you're in a small town with a police files page in the local paper there could potentially be a two or three line write up, but sometimes your name won't even be used. Pleading guilty isn't a good way to avoid publicity. 6. Do you just want to put it all behind you and get on with your life? 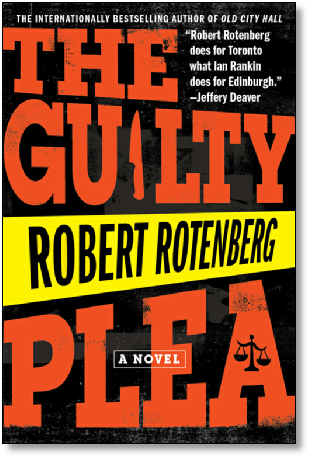 I personally think this is a pretty good read to plead guilty, but only if you really are guilty and are able to negotiate a reasonable sentencing deal. The lesson here is don't let your plea be driven by misassumptions. Hire a criminal defence lawyer to negotiate for you, or at least explore all your options including pinning down an exact sentence on a plea, before you make up your mind on what to do.